Pursuant to Executive Order No. 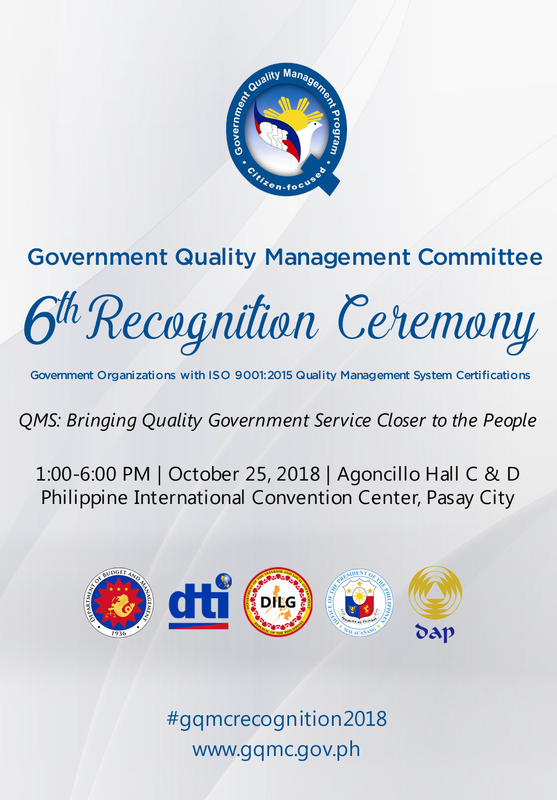 605, the Government Quality Management Committee will hold the 6th Recognition Ceremony. 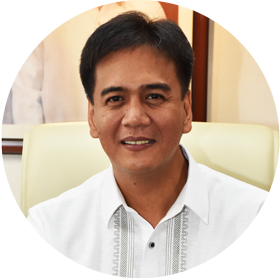 This will be held on October 25, 2018, from 1:00PM to 6:00PM, at the Agoncillo Hall C&D, Philippine International Convention Center, Pasay City. 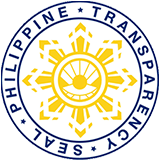 Part of the program is the sharing of Quality Management System best practices in the public sector. The event aims to give due recognition to agencies that successfully earned ISO 9001:2015 Certification; and showcase the benefits gained from the establishment of QMS. Interested parties may attend to gain new insights and learn best practices from other agencies. To register, please log on to https://bitly.com/gqmc2018. Limited slots are available. 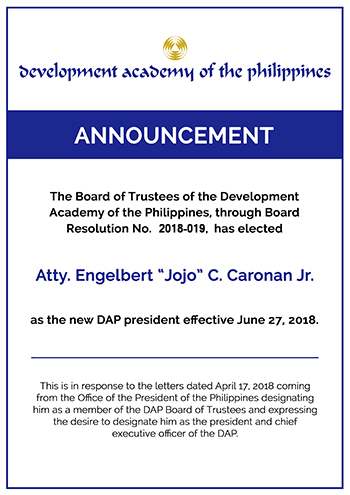 For further inquiries, please contact Mr. Gerard Paul J. Calambro at telephone number (02) 631-2163 and e-mail calambrog@dap.edu.ph.